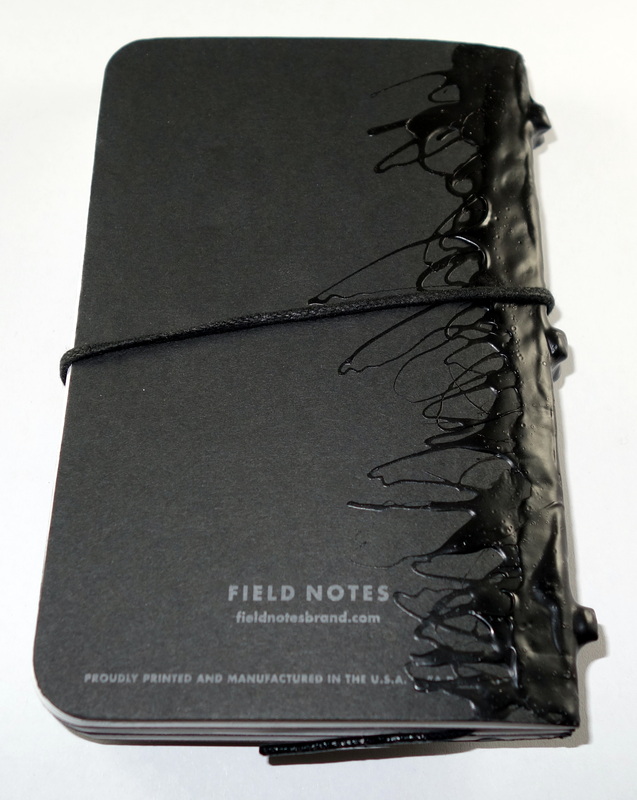 The mad scientists at Blackbird Ballard have taken three Field Notes Pitch Black Edition notebooks and bound them together with their “tar formula” and added a cord to keep the notebook closed. The end result is a very unusual looking 144 page notebook. 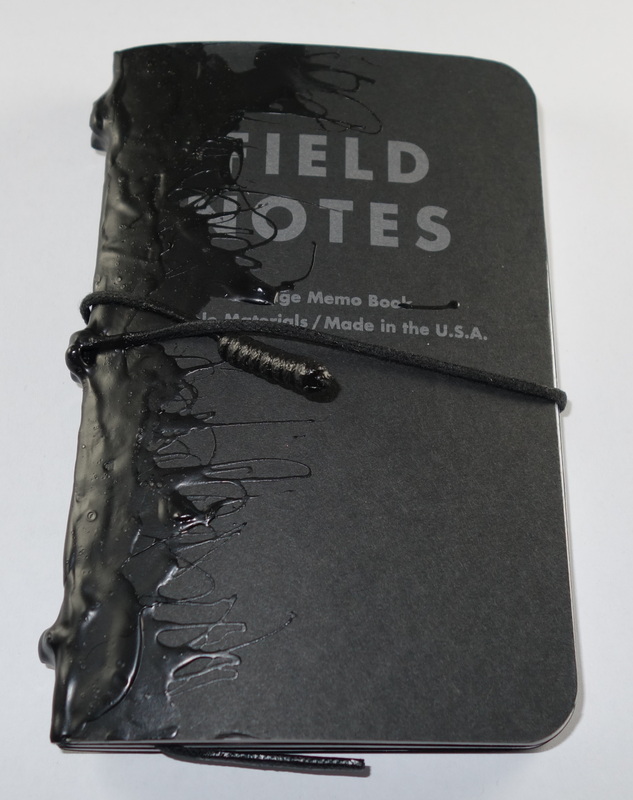 As a Seattle native and fan of the Blackbird store I decided to buy this mutant Field Notes for $28 (yes $28!!!) and see if it was any good. 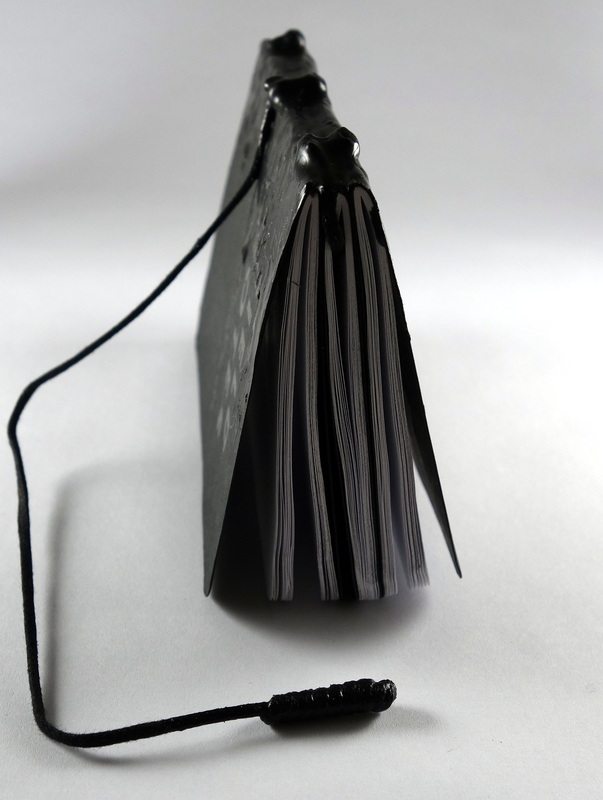 The “tar” appears to be quite durable and while a bit stiff at first, the binding relaxes and the notebook becomes nice to use. 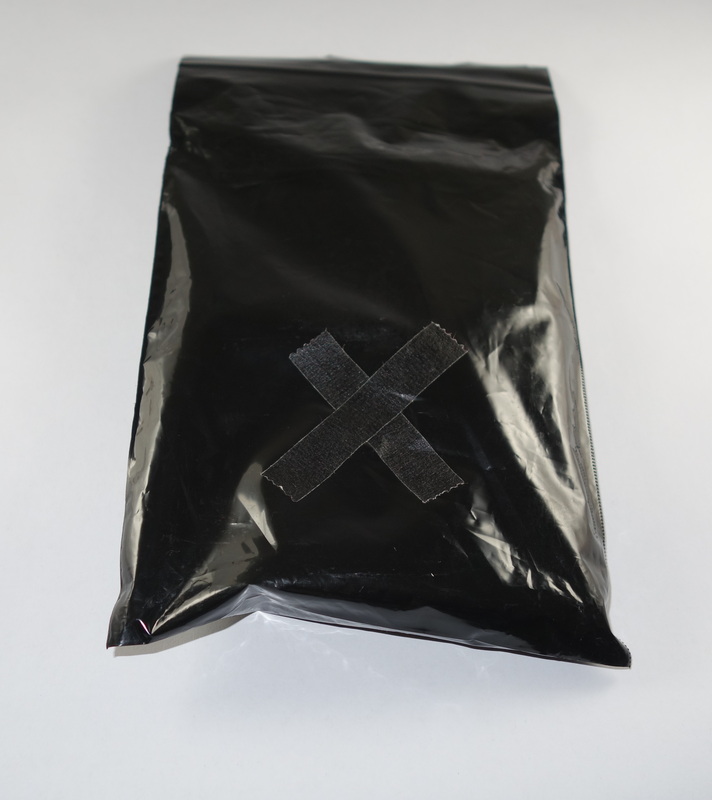 Blackbird uses their tar formula on its wallets and pouches so it should hold up through to the last page of the notebook. The Field Notes Pitch Black have Finch 50#T paper with a dot grid and while it is not the most fountain pen friendly paper, I find that it works well enough with fine nibbed pens. The notebook also features thick tar covered page marker which is a nice addition. I have have been using the three different notebooks together such that I have 1 book for to-dos and reminders, 1 book for ideas and doodling and 1 book for the blog (with a list of reviews outstanding, ideas, pens to sell and pens to buy). I have been enjoying this notebook immensely. The main downside (apart from the price) is that it’s less pocketable than a single Field Notes (it does fit in my pants pockets but it’s bulky. Do I recommend it? That would depend on how you like to use your Field Notes. If you normally carry your Field Notes around in your pants pocket, then no, I definitely do not recommend them, but if you throw them in a bag as I do and you appreciate the “design” then I say go for it. Hi Dave, thank you for your comment. You are right, it does look like Venom! Unfortunately the cover is not reusable.